What do all Pre-Schoolers love to do once they have opened their gift? Play with the Box. 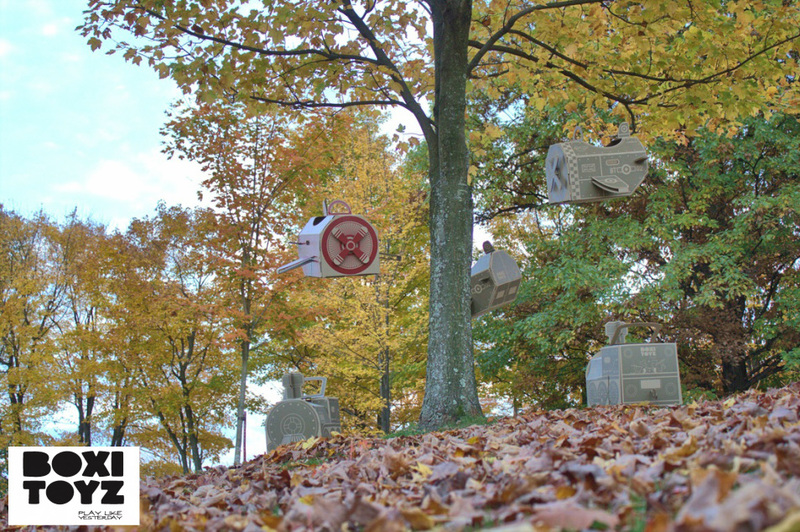 BoxiToyz is the world's first box that IS the toy - re imagined using recycled material and offering creativity in a box! After graduating University and competing in the workplace with people with defined skill sets (mathematicians, computer coders and so forth), the BoxiToyz founders realized they had a different, but equally important skill that was helping them get ahead in their chosen careers--imagination. · How do you grow/stimulate imagination? · Which of their children’s toys were helping or hindering imagination? · Does watching TV turn their children’s brains off or stimulate them? All of which are common concerns for any parent. After conducting some research, they came across the National Toy Hall of Fame (http://www.toyhalloffame.org/) in Rochester, NY. It interested them to find that the 2005 inductee was the humble cardboard box. But, the more they thought about it, the more it made sense. What stimulates a young child more than using their imagination to create invisible worlds of adventure, even if they are only using a cardboard box as the “tool” to help their story take shape? 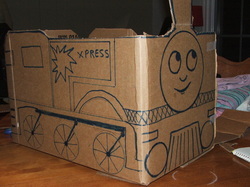 So, they decided to reinvent the cardboard box toy and BoxiToyz were born! BoxiToyz help children grow their imaginations in an easy, clean, and age-appropriate way. We feel that this Sir Ken Robinson TED talk makes an entertaining and profoundly moving case for creating an education system that nurtures (rather than undermines) creativity. Recorded at TED 2007.
a BoxiToyz toy for their pre-schooler..... or at the very least remember how much fun using your imagination and creativity can be!